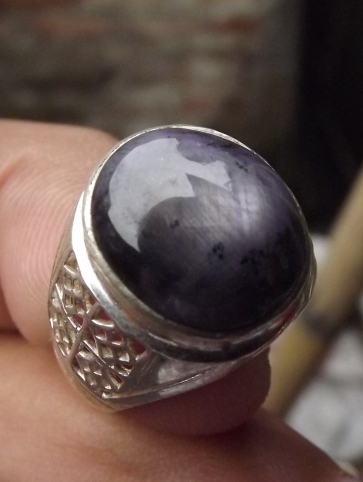 This is a very nice natural Grey Star Sapphire (some people called this kind of gems as Gondola Ruby), African origin. 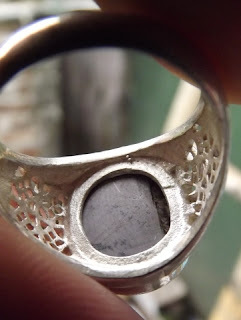 The gems is already set on a simple 18,5mm alloy ring. 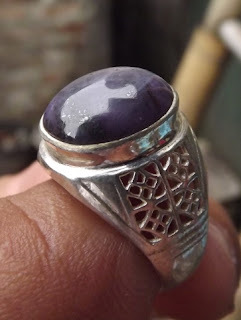 The size of the gems is (est) 14mm x 12,1mm x 6mm. 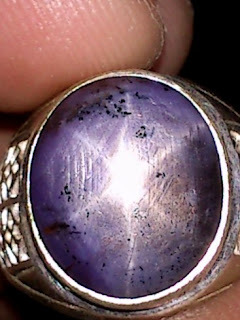 A nice Star Corundum for your precious collections! 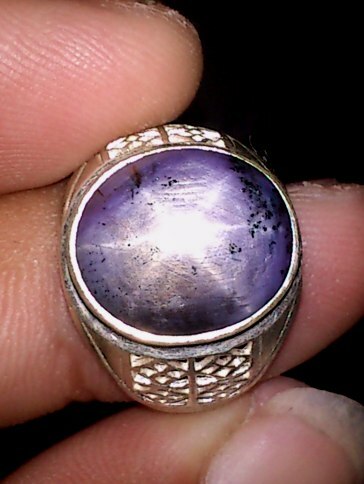 Natural Star Sapphire!